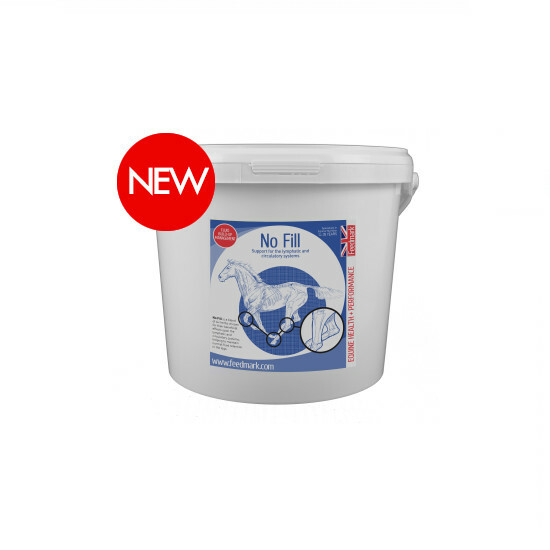 Feedmark No Fill is made up from a blend of 6 beneficial herbs which together aid horses and ponies prone to fat legs after a night in the stable by promoting a healthy lymphatic and circulatory system. Hawthorn, Dandelion Leaves, Clivers, Marigold, Gingko, Nettle, Permitted Preservatives. Below are some recent questions we've received regarding Feedmark No Fill for Horses, including answers from our team. Does this need to be fed on a daily basis to have the desired affect? My pony only suffers from filled legs when she has been stabled for more than 24 hours which only happens when it's really wet. Can I feed as & when she needs it? The manufacturers have not provided that information. However I would expect that it will have a cumulative effect and so will give better results when fed daily. This product would certainly be worth a try but stable bandaging whilst your pony is in will also help prevent lower limb swelling.